Do you Know What 4 Skills Will Make Your Company Effective? Home/Blog/Do you Know What 4 Skills Will Make Your Company Effective? 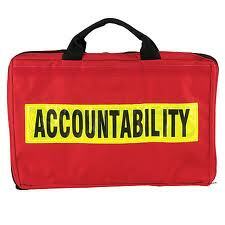 Hold people accountable for their learning. I’ve been doing training for twenty five years, and I’m always a bit astounded at the reaction I get when I ask companies what changes they want to see and how they will measure them. This question seems to bring silence to the room. Why invest in anything that doesn’t bring a return? If you were buying products, and they didn’t sell, you would stop buying them, right? If your advertising wasn’t working, you would stop that also. But I think businesses don’t know how to tell whether their training is working. Maybe they also don’t know what will make a difference or how to measure it? Here is some additional information on training effectiveness. As a trainer, I want to be part of your success. I realize if I can’t make changes, then I won’t be invited back. The outcome of training should be a measurable change in job performance. The only way this will happen is if the skills are identified and broken down into measurable steps. I start by determining what the client needs so a program can be developed. I examine task directives and break them down into “workable chunks.” If you want to improve sales, I would look at the parts of the sale: opening, building rapport and closing the sale. I would also measure your sales before the training and after the training. Many businesses don’t measure. But without measuring, we never know if we’re improving. What skills should your training focus on? 1. Focus on training the core skills that have the most impact on your business. If you want to improve sales, then define the sales process and train. After the training, managers need to follow through so they can hold the salespeople accountable for their new learning. 3. Also, tap into the expertise of your experienced workers. Before they retire, have them write about their jobs. They probably know exactly what skills a person needs to be successful. 4. Cross-train and analyze the skills of existing employees. Employees who know how to do more than one job are more valuable than the proverbial “one-trick pony.” You also might discover employees who have more skills than you thought! Add communication and personal skills training. Who can’t benefit from improved communication, getting organized or better morale? Make training fun. That can enhance the overall l experience for those who have been required to attend the event. Lots of interactions will create dynamic training sessions that people will actually remember. Lisbeth creates customized training that will impact your bottom line. If you want to know if she’s right for your company, Lisbeth can be reached at Lcalandrino@nycap.rr.com or 518.495.5380. I’ve been doing training for five years, and I’m always a bit astounded at the reaction I get when I ask companies what changes they want to see and how they will measure them. This question seems to bring silence to the room. Why invest in anything that doesn’t bring a return? If you were buying products, and they didn’t sell, you would stop buying them, right? If your advertising wasn’t working, you would stop that also. But I think businesses don’t know how to tell whether their training is working. Focus on training the core skills that have the most impact on your business. If you want to improve sales, then define the sales process and train. After the training, managers need to follow through so they can hold the salespeople accountable for their new learning. If you want your own online specialized training but don’t want to teach it, define what you need and hire someone to develop your training, including short videos and workbooks. Make them specific so everyone will benefit. Also, tap into the expertise of your experienced workers. Before they retire, have them write about their jobs. Cross-train and analyze the skills of existing employees. Employees who know how to do more than one job are more valuable than the proverbial “one-trick pony.” You also might discover employees who have more skills than you thought!